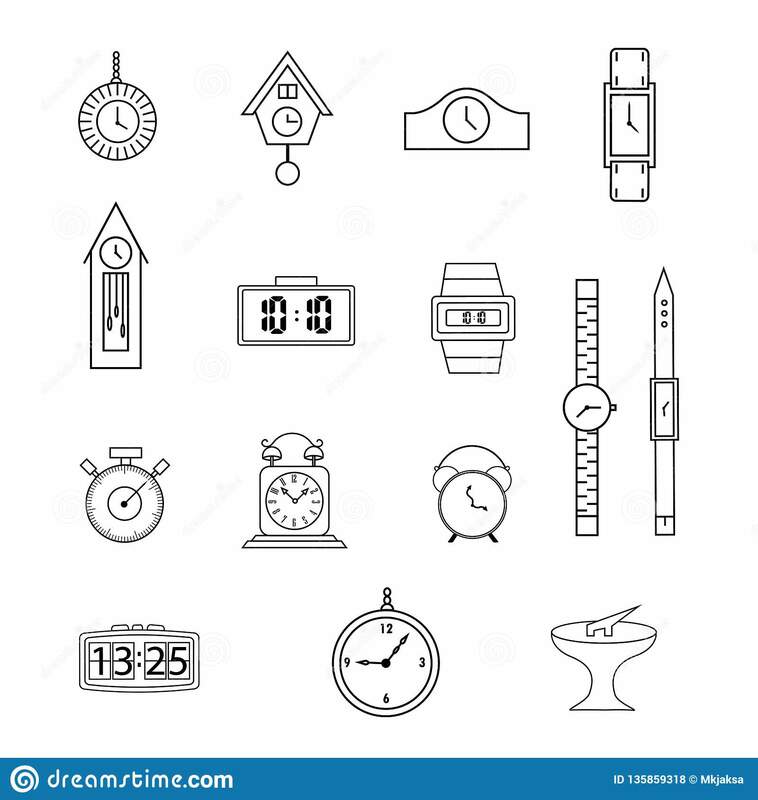 Set of line icons, flat icons collection, clock, watch, on white background. Clocks and watches set of black and white icons. Simple. Lined. Stylish.